Australia is home to the highest number of students of Italian in the world. According to a report conducted by the Italian Ministry of Foreign Affairs, 314,716 Australians study la bella lingua at school. That’s more than any other country across the globe, including those that have historically welcomed many Italian migrants like France (314,190), Germany (257,469), the US (221,741) and Argentina (71,562). These figures are astounding in terms of population (Australia’s population is 25 million compared to 325 million in the US), and the number of school-age Australians: in the 2016 census, there were 4,321,424 people aged between five and 19 in Australia. According to the report, one in 17 school-age Australians studies Italian. Furthermore, the number of Italian students in Australia is believed to be even higher than that indicated in the report. 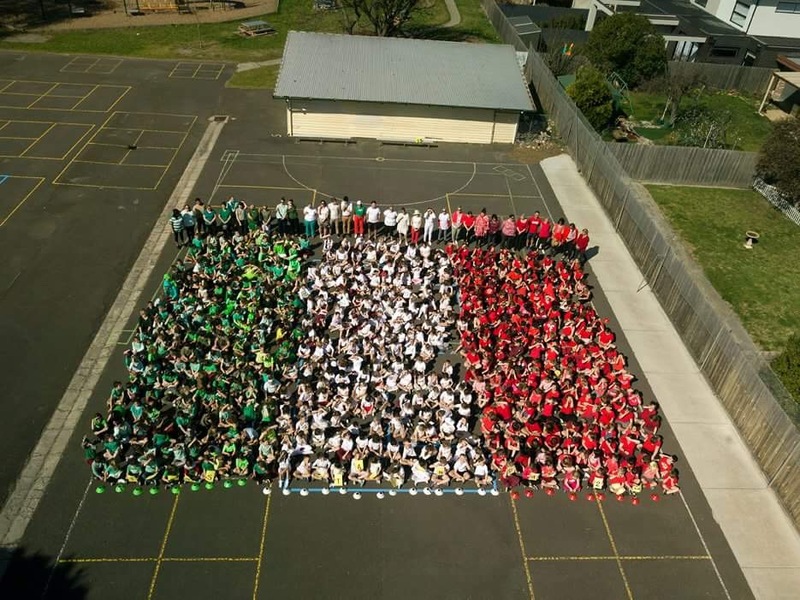 According to an investigation conducted by Anna Rita Tamponi, Director of Education and Culture at the Italian Embassy in Canberra, there are around 360,000 Italian students in our nation. In an interview with In classe, Tamponi explained that official statistics often don’t include students at private or independent schools, those who learn through classes organised by small companies, or students who undertake online courses. The last option is becoming increasingly popular, though it’s difficult to gauge the quality of these courses. Despite these staggering statistics, the survival of the Italian language in Australia faces many challenges, and Tamponi urged us not to rest on our laurels. “We’re proud that the number of Italian students in Australia is the highest in the world, but the data also indicates that 66 per cent of these students are in primary school,” she said. Meanwhile, only 32 per cent are in secondary school, and 2 per cent at university. This “funnel effect” in which the number of Italian students dwindles progressing through the school years is present in every state and territory. It’s more prevalent in Victoria and South Australia, where 75 per cent and 72 per cent of Italian students are in primary school respectively. There is slightly more balance in Western Australia, where 50 per cent of Italian students are in primary school and 48 per cent are in secondary school. Similarly, in Queensland, the ratio is 52 per cent to 46 per cent. In every state, except for Tasmania, the number of Italian students at university remains stagnant at 2 to 3 per cent. “It’s a striking reduction which shows us that we’re there is no maintenance policy when it comes to maintaining our language throughout the different levels of schooling,” Tamponi said. To answer this question, one must consider different cultural and political factors. “Firstly, Italian is often associated with nostalgia, not social, economic or sporting success,” Tamponi explained. This argument is echoed by various Italian professors. Barbara Pezzotti and Francesco Ricatti of Monash University said students arrive at university with enough knowledge of the language, but not enough knowledge of the culture. Often they have an antiquated view of Italy, influenced by stereotypes which are connected to the history of Italian migration in Australia. For example, many of them see Italy as a poor and backwards nation, forgetting that it’s currently the eighth industrial power in the world. Ricatti explained that often students only learn the language, not the culture, and without a combination of the two, the linguistic aspect becomes less stimulating. As a result, students lack adequate knowledge of contemporary Italy, and those who are interested in its rich culture rather than the intricacies of the grammar, distance themselves from their Italian studies. Students should be able to explore Italian culture while still benefiting from a high quality of education when it comes to the language side of things. The data gathered by the Italian Embassy emphasises a need to improve the quality of education and teachers’ training. Tamponi said it’s important to incentivise teachers to continually update their training, both to maintain their knowledge of the language and their teaching skills. She added that this approach uses Italian as a bridge language, rather than an exclusive learning objective. This attitude is also shared by community organisations which are among some of the most active entities in the country when it comes to offering teachers training opportunities, such as trips to Italian universities, distance education and immersion courses. “The positive findings come from afar: from the cultural heritage passed on through the immigration of our countrymen, from the multicultural politics which have allowed all languages to be community-based, and from the effort made to guarantee that Italian is the language prioritised in local school curricula through specific agreements with the Italian Ministry of Foreign Affairs and state education departments in Australia,” Marco Fedi, Deputy Chief Executive Officer of CO.AS.IT. in Melbourne, said of the official report. “This is our strength... a strength that is still largely underestimated today. “Despite the many positive results, Italy’s investments in the Southern Hemisphere have gradually decreased, and this negative trend has had an immediate effect on the number of Italian students, which had reached over 400,000 in the past. “For obvious reasons: fewer resources mean less training, fewer linguistic and cultural proposals and less political and cultural attention at a time when Asian languages are prevailing. While Australia’s multicultural policies allowed the entrance of various languages into the school curriculum in the first place, the Italian Embassy found that they’re not doing enough today to maintain them. According to the embassy, Australia “doesn’t consider languages as basic knowledge” like Europe does. “In Italy, it’s compulsory to study English from primary school,” Tamponi explained. “In the first years of high school it’s compulsory to study one or two languages, and in the later years, students must study at least one language and a non-linguistic subject in a foreign language of choice. This “funnel effect” occurs across languages in general in Australia. “It’s amazing that a country which proclaims to be multicultural and which is proud of its multiculturalism doesn’t provide any support for languages that aren’t even compulsory in the middle years, or that are only compulsory for half an hour a week,” Tamponi added. It’s important to distinguish between the different states, given that state governments are responsible for the education sector. Victoria is a shining example, as the study of foreign languages is actively encouraged across the state. For example, in VCE, ATAR scores for languages are scaled up. The South Australian government is also taking big steps in this area: five schools in the state will receive funding of up to $50,000 each to support them in trialling innovative approaches for improving the effectiveness, quality or sustainability of language learning in the primary years. The situation is different in NSW, where just 7.9 per cent of HSC students in 2017 studied a foreign language, down from around 10 per cent in 2010. Australia has three Italian bilingual schools: Yarralumla Primary School in Canberra, Brunswick South Primary School in Melbourne, and the Italian Bilingual School in Sydney. However, students at these schools face a major issue when they complete their primary education: after being immersed in the Italian language for six years, many students are forced to change their learning style or abandon their language studies altogether as there are no Italian bilingual secondary schools in their area. At a tertiary level, a lack of political interest in languages leads to minimal support for language departments, with less funding for teaching and research. Experts have also emphasised the concerning decrease in Italian students at many universities, including the University of the Sunshine Coast, Griffith University, the University of Wollongong, Flinders University and Swinburne University. Contributing to this problem is the fact that the Italian community in Australia is an ageing population, and that the Italian language isn’t embedded in the nation’s contemporary social fabric. How do we ensure the preservation and promotion of the Italian language in Australia? Tamponi explained that from a cultural perspective, it’s important to identify “the potential of Italian to be the language of today and of the future”. She added that alongside a language linked to art, music and humanities, Italian should also be promoted as a language associated with technology and employment, especially considering the high number of Italian companies present in Australia. Political action is also crucial, and there’s a need for representatives of Italian studies to band together with those of other foreign language studies to bolster support and create a united voice. Other ways to promote Italian in particular include the implementation of CLIL programs, in which students study non-language subjects such as science and maths in Italian. However, this method can’t be introduced overnight: it requires the involvement of teachers who have both an adequate grasp of Italian and the subject they’re teaching. Given that teachers must have Australian qualifications to work in schools across the nation, it’s difficult to find people up to the task. “We’re trying to reach an agreement with different states in order to overcome this barrier and increase the number of teachers whose mother tongue is Italian,” Tamponi said. Representatives of the Italian government in Australia have expressed their support for the implementation of bilingual education in secondary schools and the opening of private schools to foster an interest in Italian culture and education. Last December, the Italian Embassy organised a conference focusing on the promotion of Italian in Australia, involving academics, leaders of community organisations, Italian teacher associations, directors of cultural institutes, the manager of the Italian promotion office, and at the Italian Embassy’s science attaché. The meeting aimed to ensure the promotion of Italian “across the board”, involving not only linguistic and cultural aspects, but also economic, scientific and political factors. For example, initiatives such as Vivere all’italiana, Italian Language Week in the World and Italian Design Day all seek to promote the language across different cultural and technological fields. Community organisations are also “ready for a new, ‘innovative’ phase”. “The Italian network in Australia is ready to take collective action which will involve, for the first time ever, the collaboration of CO.AS.IT., the Italian Chamber of Commerce, the Dante Alighieri Society, universities, schools, research centres and community and cultural associations, on innovative projects,” Fedi declared. “I believe Australia can represent a fertile ground in which to implement a new strategy for the promotion of Italian culture on behalf of the Italian government. Everyone involved seems to be on the same page, committed to working towards the same goal of qualitatively promoting the Italian language and culture in Australia. This is the same goal that In classe has. In fact, we believe having a second language doesn’t only provide more study and employment opportunities, it also leads to more a tolerant, open-minded and non-judgemental attitude. This story appeared in the Thursday February 7, 2019 edition of In classe. We’re proud that the number of Italian students in Australia is the highest in the world, but the data also indicates that 66 per cent of these students are in primary school. The challenge we face is substantial, but if we are determined and willing to cooperate, we’ll be able to create new opportunities for the promotion of Italy across the world.